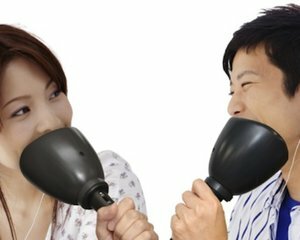 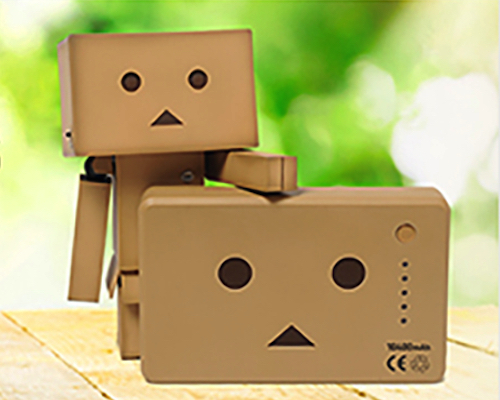 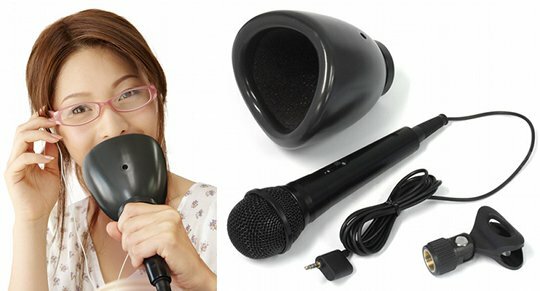 Remember the Noiseless USB Karaoke Mic, the extraordinary "mute mic" for the Nintendo Wii that was an online storm in 2010? 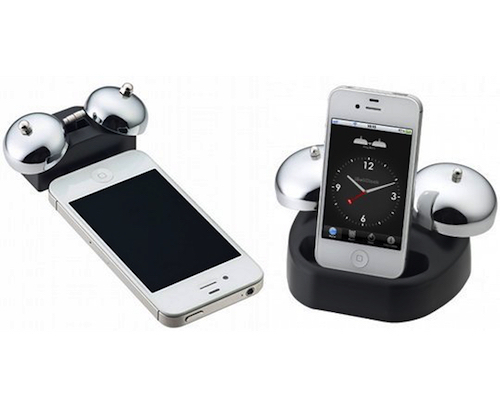 Well, it's back in a new version and for a whole new handset! 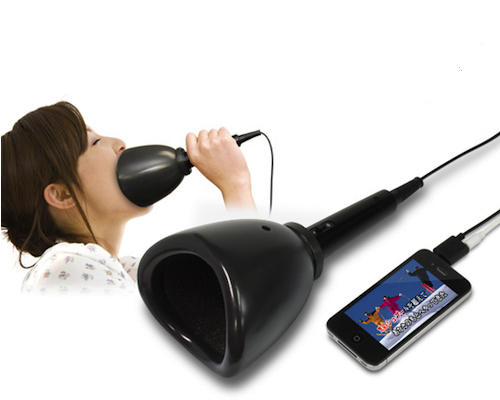 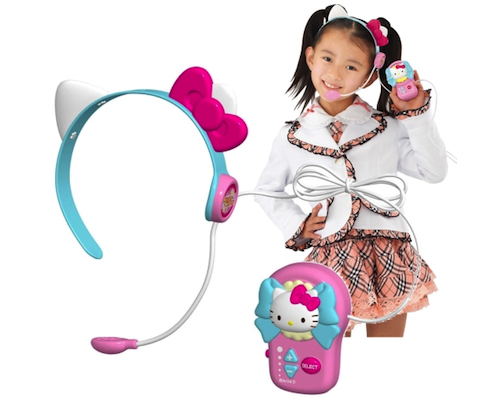 The iPhone iPad Noiseless USB Karaoke Mic is of course now compatible with your Apple device (iPhone, iPad or iPod touch) and will allow you once again to bellow away into the microphone cone without any fear of neighbor complaints in the slightest. 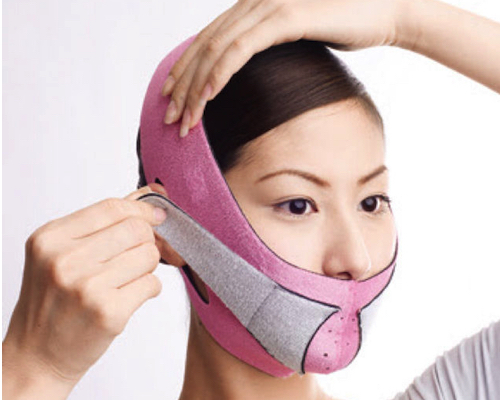 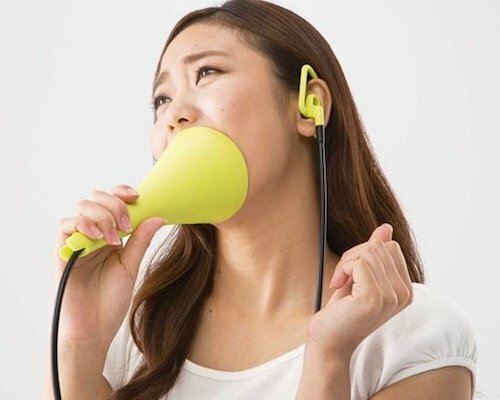 The sound-proof urethane cup fits around your mouth and the whole set connects to your iPhone or iPad by a simple USB cable and Sega's karaoke app. 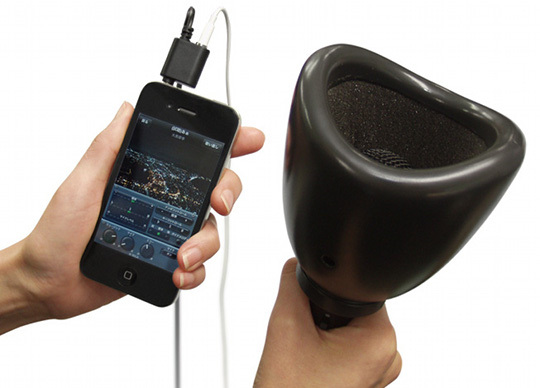 Just slip the cone around the mic, then connect the mic to your phone and your earphones to the other port. 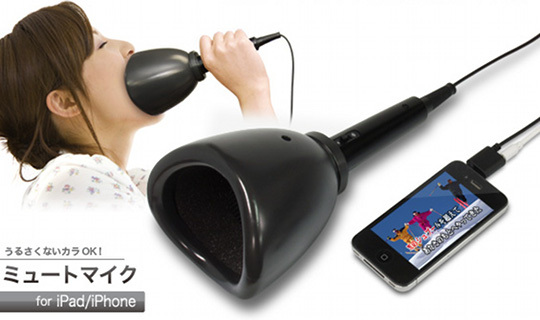 Now your own private concert is ready to begin! 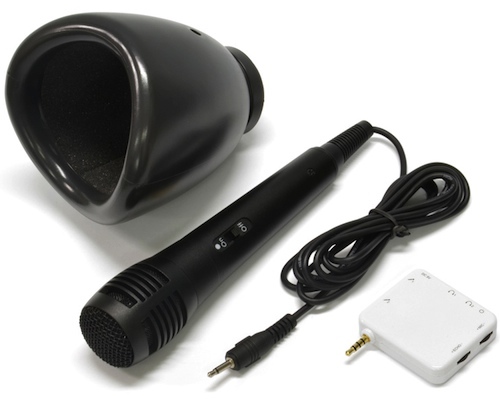 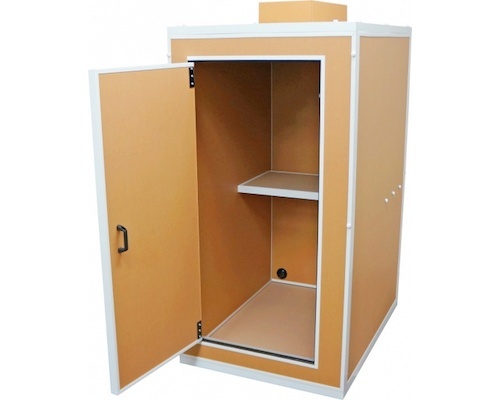 The cone and its inner urethane can even be washed easily to maintain hygiene levels and naturally the microphone can function like a normal mic as well.